We had an Easter Egg Hunt at my home with one of my sisters and her children and I just happend to be watching my friends children too. We had an egg hunt, dyed eggs, and they each played with some glittery silly putty. since it was raining on and off all day(I had planned on bubbles and egg shaped sidewalk chalk). 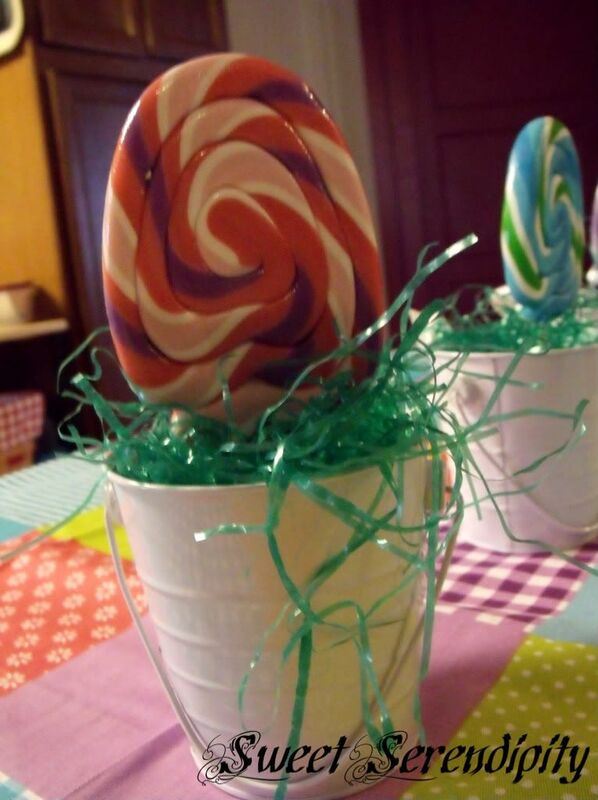 I found the buckets at the one spot at Target and added clay to the bottom to stick the egg shaped sucker in, and covered it with easter grass. The table clothe is also a Target purchase and I love it. After 9 years of looking I finally found a tableclothe for spring I love!!! 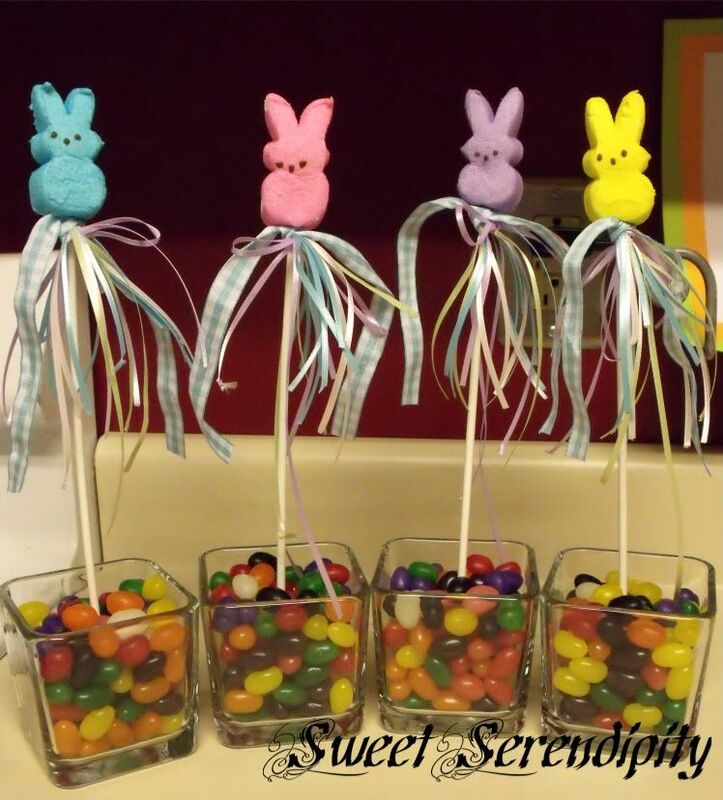 To make the peep topiaries I added clay at the bottom of these Dollar Tree finds(I use them all the time) and filled them with jelly beans. 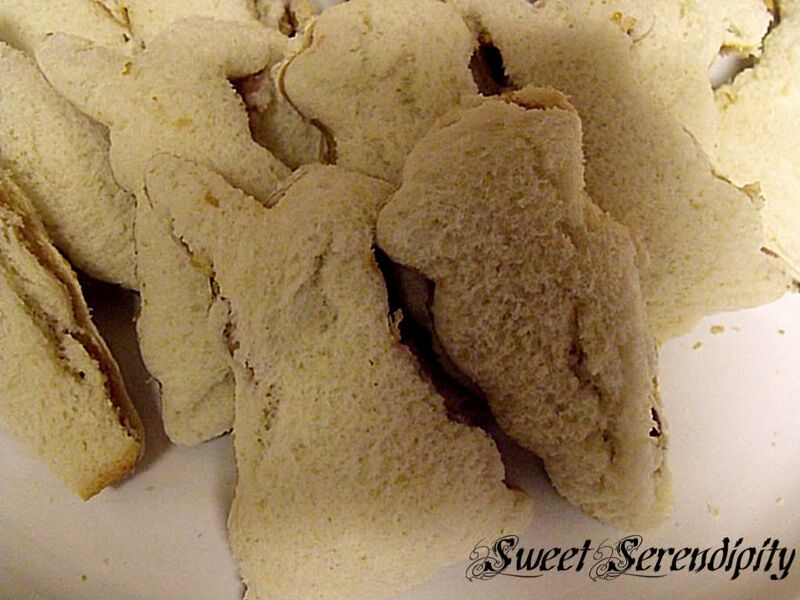 I took a long suckers stick and added a peep to the top and then tied ribbon just under the peep. Then stuck it into the center of the vases. 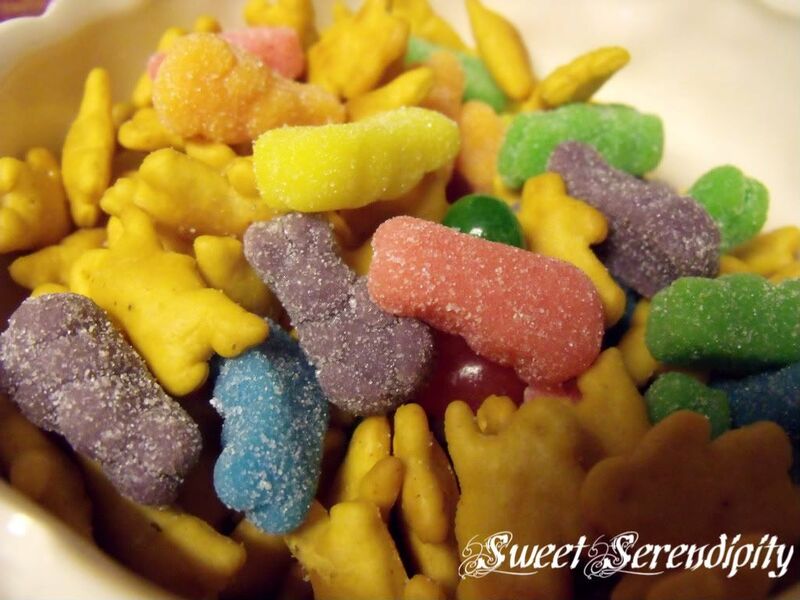 Take a terra cotta dish and add 5 small pots around the edge and then add 1 tot he middle. 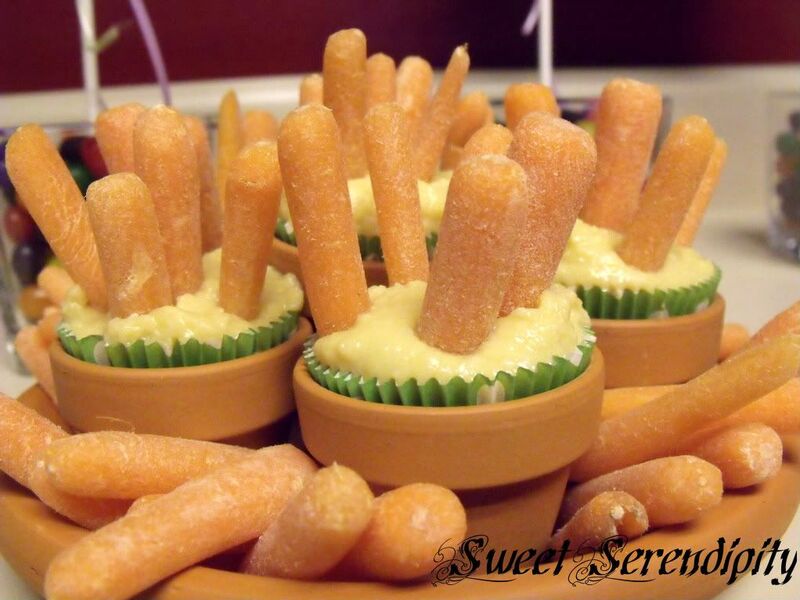 Put small green cupcake liners in each pot and fill with hummus add carrots to the pots and around the bottom edge. 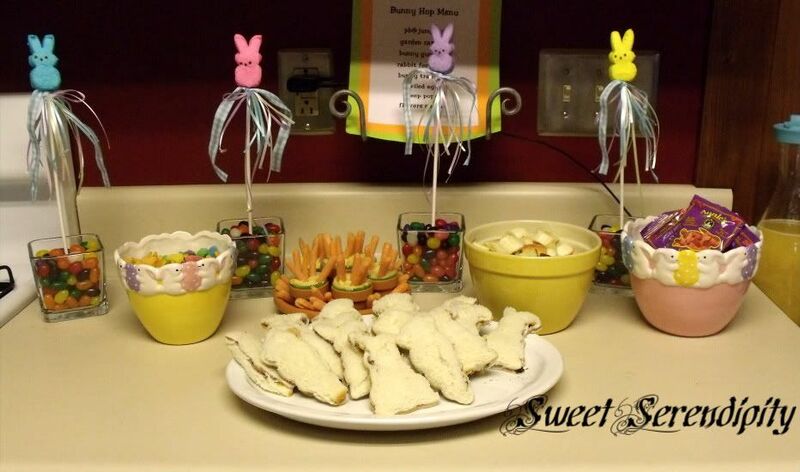 We also had deviled eggs, Annies fruit snacks, fruit salad, and juice! 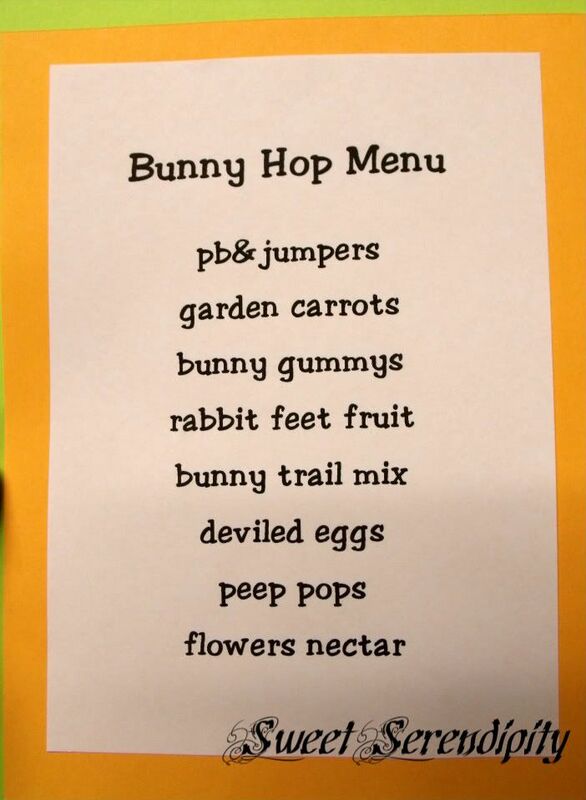 I love the bunny trail mix-my kids would love that. What a darling party!